What? Trump, Donald Trump Jr., and Rudy all said "make it public." 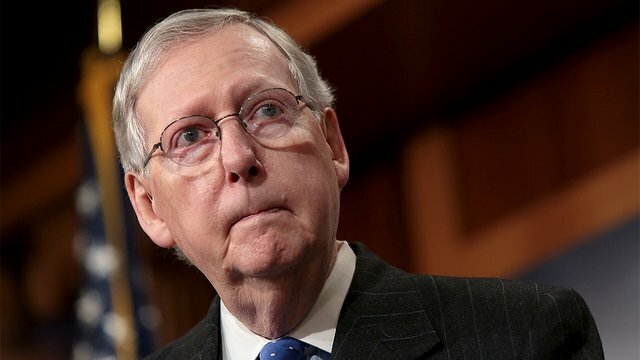 So Trump will just order McConnell to change his mind, right? That's what he did during the shutdown—McConnell deferred to Trump's judgment. I mean, we *know* why, but, needs to be said anyway. Judging from the reaction of Russian officials and state media, expect Vladimir Putin to be more aggressive than ever. Russian election interference will soon be replaced by “Ukrainegate,” based on the conspiracy theory that Ukraine meddled in the U.S. elections on the side of Hillary Clinton. What hypocrisy, we can send troops all over the world, let Russia send a few to a couple of countries, it's the end of the world as we know it. A hundred - oh my what a horde, break out the nukes. Sanders forgot the man who was 100% right about Donny, Rex Tillerson. Your Orange Moron in Chief has been obviously conspiring with Russia for awhile, and involved in criminal activities with some of them for many years. No matter what the Mueller report said, or what Trump and Barr will not allow to be seen. After all, Donald Trump refused to be interviewed under oath. Now as president he and Putin are basically removing the safeguards to mutually assured destruction that has kept nuclear powers in check. Putin is going into places he was kept from it, with Trump tacitly allowing this. This is Trump's payback for Putin getting him elected. Only brain dead Trump supporters cannot see this. And only Trump apologists have no problem what he is allowing his fellow autocrats and dictators to do unfettered. Putin may be allowed to use nuclear wweapons against Europe; trump mused about this on the campaign trail. your position on healthcare is to take it away from millions of Americans." new POLITICO/Morning Consult poll shows the political fog around the president remains. Man was detained on Wednesday for allegedly threatening to kill President Donald Trump and blow up the Pentagon. Hahahaha!!! There's the TWERKING JERK again!!! Maybe at his Michigan rally the Orange Doofus in Chief will throw the worshipful hordes of Deplorables bottled water from the Flint River. They'll glow brighter orange than even the Effing Moron Criminal they call their leader. HAHAHA!!! Maybe this potential true patriot should consider a twofer, with Mike Pence included. Then Nancy Pelosi will show what a real leader can do !!! 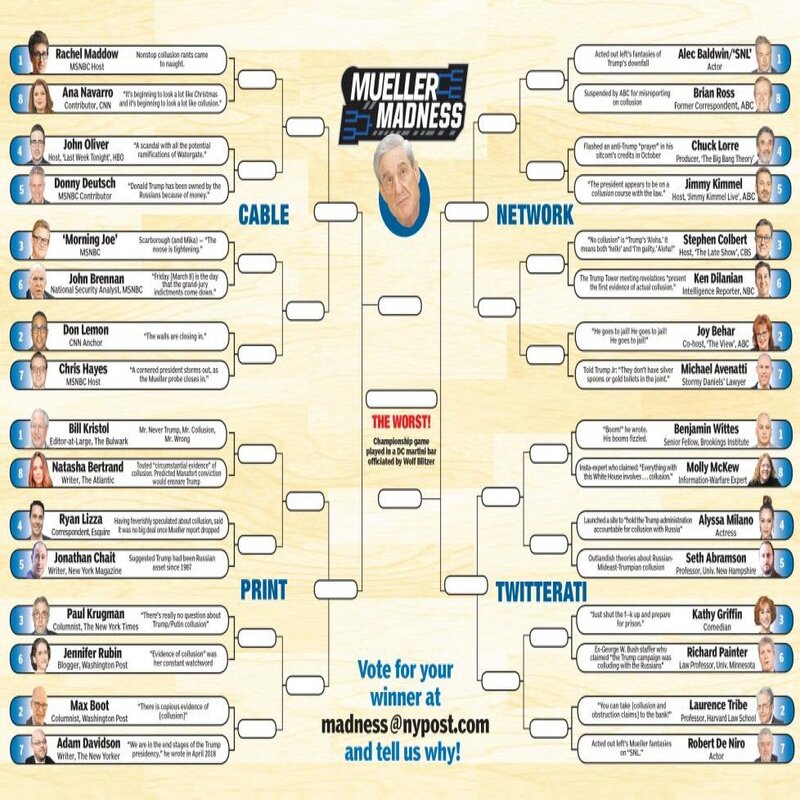 Uh,,, wake up folks, 'collusion' isn't a crime. 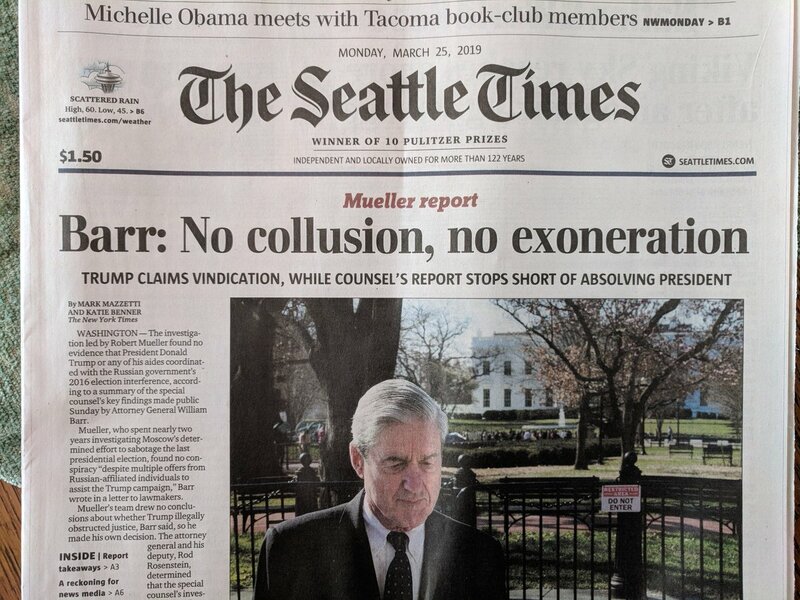 So BFD if the Mueller report shows there was 'some collusion'. If Dems continue to push this, it will only assist Trump since it confirm in many voters minds Trump was right that the investigation was just a witch-hunt. 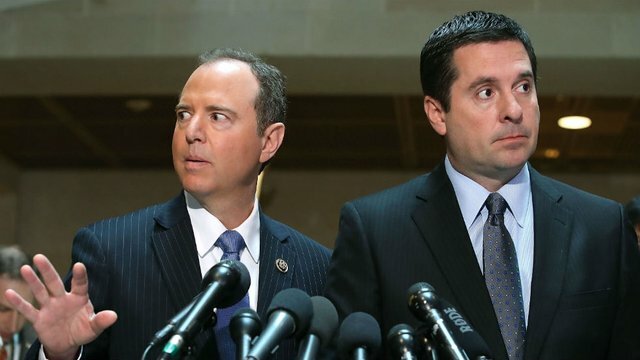 I don't wish for Trump to be re-elected, so I'm hoping Dem leaders grow-up (only Pelosi appears to have, but morons like Schiff never will). A rational person would just move on as you said but these pundits but their whole stakes for this so now they have to double down or lose face. Very funny. Be interesting if his critics wants this to be cut because they hate Trump so much.